Cleaning includes regularly scheduled wet cleaning or extraction for total soil removal. Extraction cleaning is the most effective way to remove soil. 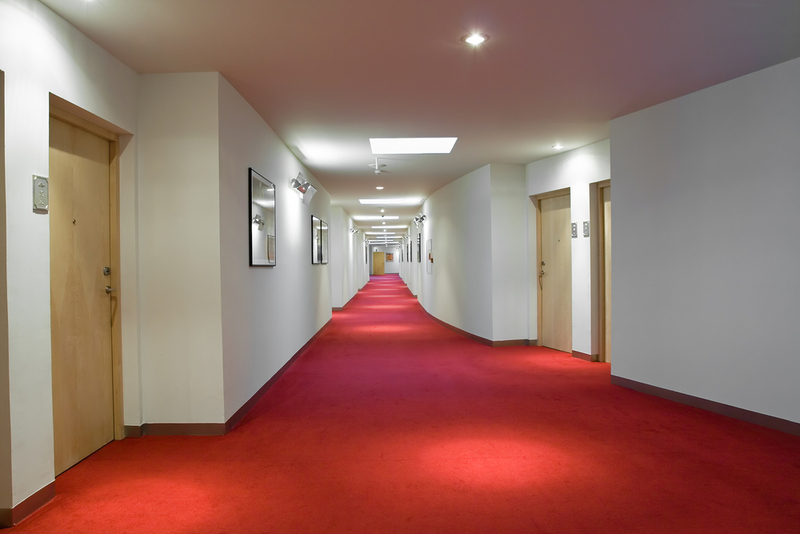 Ground floor carpets need more frequent cleaning that carpets on higher floors but a good rule of thumb is to have office carpets cleaned at least once a year. For other environments such as commercial buildings including retail and banks the high footfall may mean that more frequent cleaning may be needed. Aquatec Cleaning Group will provide a professional audit and a no-obligation quote to meet your requirements. Using the latest quick-drying cleaning techniques and environmentally-friendly products there is no down-time and no disruption to your business. Free, no-obligation quote – We provide a free no obligation quotation and we do not employ any hard sell techniques. Eco friendly procedures – We are meticulous in our approach to every job we undertake and make every effort to ensure the best possible result is achieved. In doing so, we use WoolSafe approved products that are thoroughly tested for all fibre types and are safe for great peace of mind. Competitive prices – At Aquatec , we believe in offering a professional value for money service. We quote fair and honest prices and build in discounts as much as we can. Experience – At Aquatec we are fully trained and experienced. We employ the best industry standards. Emergency Call Outs - We will attend to any emergency as quickly as we can. If this means working through the night, we will do it. Equipment – We use the best and most powerful equipment the industry has to offer. From a portable to a truckmount. We also offer Low Moisture Cleaning to ensure very quick drying times and little or no disruption to your business or staff. Sectors - We provide cleaning services for a variety of sectors, including residential, office buildings, hotels, pubs, clubs, gyms, restaurants, student campuses, hospitals and many more. We are committed to providing clean and healthy environments for our clients and this extends to the ongoing improvement of our environmental performance as a company.We recognise that our day to day operations impact on the environment in a number of ways and we are committed to only using products that help protect the environment and reduce pollution. All the products are also safe for people and pets. Training all our staff in environmental awareness. Recycling all cardboard, paper and cleaning machinery batteries. Using hand trigger sprays rather than aerosols. Recycling the containers and packaging of cleaning materials. Purchasing cleaning products in 'ready to mix' form to reduce the size and amount of packaging needed. Monitoring energy and water consumption in all the equipment we buy and use. To provide a safe working environment for all our employees and others affected by our works. To ensure environmental implications are considered when assessing client’s requirements. To ensure that all legal regulations and requirements are met. To conserve the use of energy and raw materials. To dilute chemicals to the correct specification. To reduce waste as far as possible. To use, as far as is practical, re-cycled products. To avoid pollution of air, land and water.